Manufacturer of a wide range of products which include batch code pad printing machine. We specialize in supplying customers a wide array of Batch Code Pad Printing Machine. We make use quality raw material for manufacturing these products. entire raw material is procured from reliable vendors. 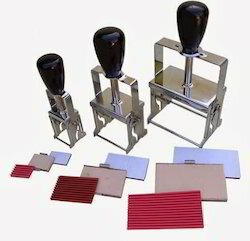 Used for marking and coding applications on varied products, these machines are widely acclaimed in the global market. Looking for Batch Code Pad Printing Machine ?